Paradiski is one of a very small number of very large interconnected ski areas. From 1200 up to 3250 metres altitude, the ski area stretches over 425 km of pistes that link Les Arcs, Peisey-Vallandry and la Plagne. Renowned for the beauty of its landscape and its endless riding potential, Paradiski is situated at the entrance to the Vanoise National Park, a natural reserve of 53 000 hectares. As for the Les Arcs ski area in Paradiski, you will find about 107 ski runs totalling 200 km of slopes, with a majority of blue and red runs. The village resorts are built in two different sectors: Arc 1950 and Arc 2000 in one area and Arc 1600 and Arc 1800 in another, lower down. The Les Arcs area includes a number of boarder cross runs and different play areas: snow parks, freestyle runs, altitude toboggan runs and a run where you can discover the local flora and fauna, as well as a variety of exceptional landscapes surrounding the pistes. With the magical panoramas of the ski area and the exceptional runs, you naturally think of all the skiing you will do during your holiday in the mountains. However, the skiing experience is not limited to riding down the Alpine mountains. Paradiski has put everything in place to enrich your holiday in Les Arcs via its Paradiski Yuge application: relive your ski day checking the number of runs you went down or the difference in altitude you achieved. You can find all the information you need in the tailor-made app: weather forecast, a piste map with real time geolocation… It’s a bit like having the whole ski area in your pocket! There are also more than 60 free Wi-Fi hot spots across the Paradiski area so you can stay connected! As well as being able to keep your holiday skiing memories in your smartphone, a number of “non-skiing” activities await you. Each one is more original than the last and you will be able to enjoy special moments with your family or friends when you try these activities in one of Savoie’s most beautiful ski areas. With dog sled outings, helicopter rides or a tour of the huge Igloo Village, you will certainly not be disappointed! You can even try the Rodéo Luge toboggan run for a wild descent! See all the activities to try in Paradiski, close to the Village. Every season, the Paradiski area offers its share of surprises and new features. For 2019, a special year as Les Arcs is celebrating its 50th anniversary, many infrastructures have been fully renovated and there are lots of new installations! Every year for the past 10 years, the Village plays host to the Les Arcs Film Festival which is one of the resort’s key events of the winter season. 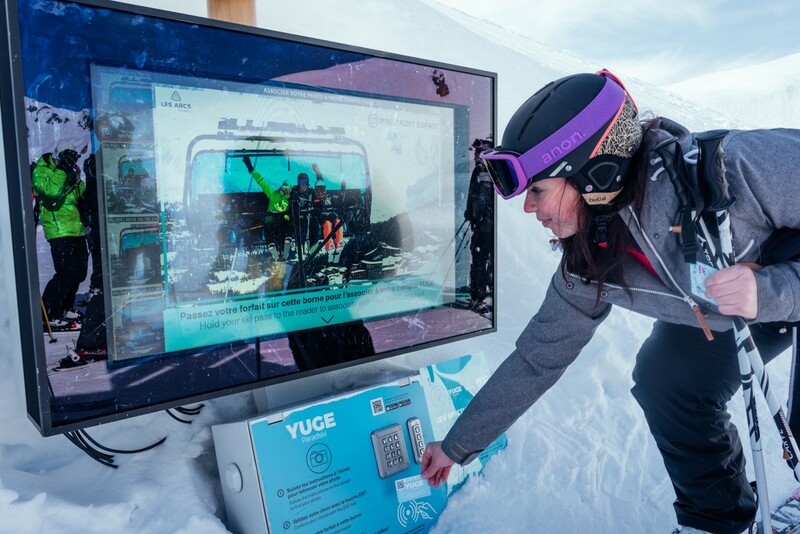 For this latest edition, the Village is dedicating the ski run that goes through Arc 1950 and winds around the high-end boutiques to the stars that have stayed over the decade of this cultural and original event. The Vallée de l’Arc, a wide valley with a majestic view of Mont Blanc, is a sector of the ski area accessible to skiers of all levels that is getting better every year. 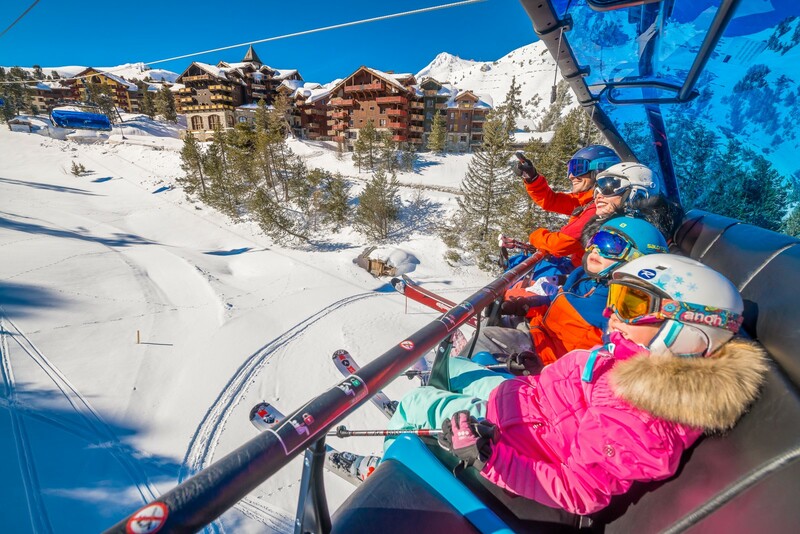 After modernising Pré St Esprit detachable chairlift which passes over the Village in 2017, it is the turn of Comborcière to be replaced by a 4-seat detachable lift that is twice as fast and much more comfortable, to make it much easier to get between Arc 1600 with its new Club Med and Arc 1950. And that’s not all: a new run called Le Secret has been created in the hollow of a pretty little valley, hidden from view. At 3226 metres, a new footbridge has been installed offering a 360° view of the exceptional panorama of the highest peaks of the Alps. You will be able to discover the secrets of the Hauts de Villaroger nature reserve. The cabins of the Aiguille Rouge cable car are also being redecorated.